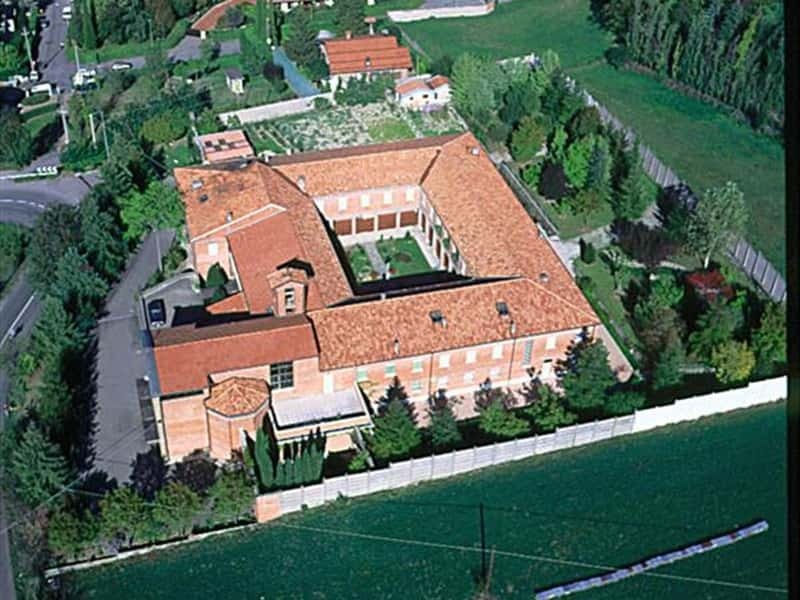 The main city of the territories of the Ceramic area ( together with Fiorano Modenese, Maranello and Formigine), Sassuolo is an important industrial and handicraft center of the province of Modena, located in a hilly area along the banks of the river Secchia. The origins of its name are uncertain and divided between two different schools of thought: some historians believe that it derives from the "olio di sasso" (rock oil - petroleum), of which the underground, here, is rich, and who, instead, claims that it derives from the presence of a settlement on a small hillside ("Saxo-solo", precisely). In the early Middle Ages the control of the city was submitted to the Byzantines at first, then to the Bishops of Parma, to the Canossa and finally to the City of Modena. In 1373, on request of the citizens themselves, the rule passed to the d'Este and Sassuolo flourished in a period of great splendor, proceeding to the construction of new churches and palaces. The development of commercial activities gave way to the establishment of several manufacturing initiatives: silk, wool, textiles, ceramic tiles and handmade pottery. - the Thermal Baths of Salvarola, whose therapeutic properties were already known to the Romans. It features three types of water: sulphide-carbon; bromine-iodine, magnesium-sulfide-bicaronato. - the monumental Cemetery, with typical graves in ceramic of Sassuolo. This town web page has been visited 24,799 times.